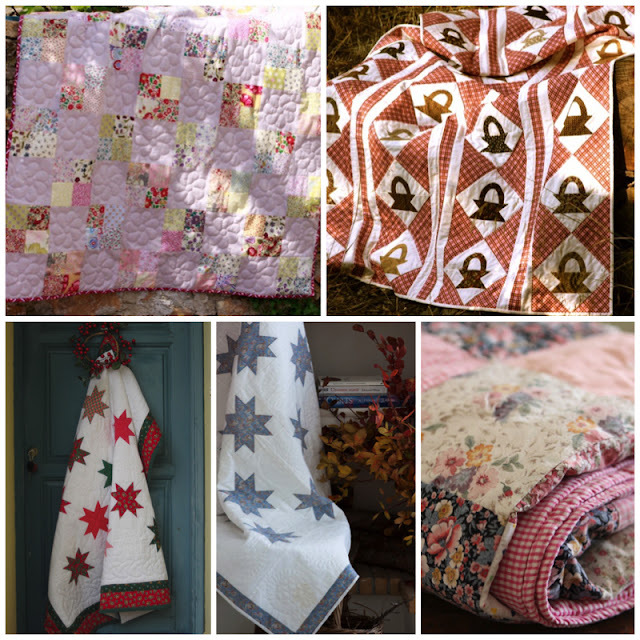 They are all so beautiful, but I especially like the Quilt with Knots. Beautuful quilts. I especially like the eight points star quilt. Beautiful hand quilting. Love your blog.